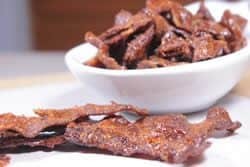 Pig candy is nothing new but it does take things up about 5000 notches when you make it in the smoker. 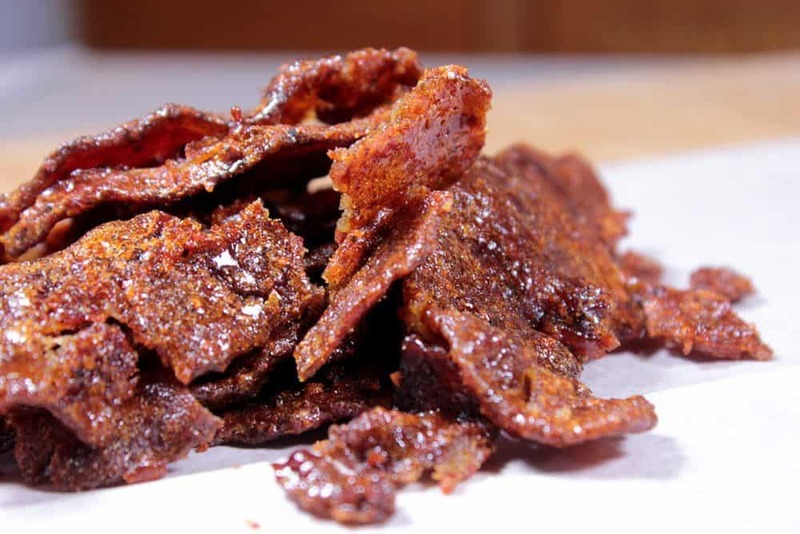 The last time I wrote about smoked pig candy I simply used my original rub* and brown sugar on the outside as a dry mixture. This time I made a glaze from bourbon, brown sugar, maple syrup and of course, my original rub*, to give it a kick in the pants. You'll love this stuff and I dare you to try and eat just one piece! Note: If you don't want to use bourbon, Dr Pepper also works well. Unlike most of my instructions, we are going to get the smoker going first since the bacon needs to go on right from the package without any additional preparation. Update: lately I've been adding a light sprinkling of my original rub* to the top side of the bacon just before it goes into the smoker and the flavor gets a big boost from this. I highly recommend it. 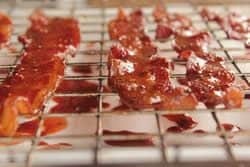 We will cook the bacon for about 45-60 minutes before adding the glaze to it which magically transforms it into smoked pig candy. I used a small cabinet style electric smoker for this but you can use whatever smoker you want as long as it will maintain about 240-250°F using indirect heat. 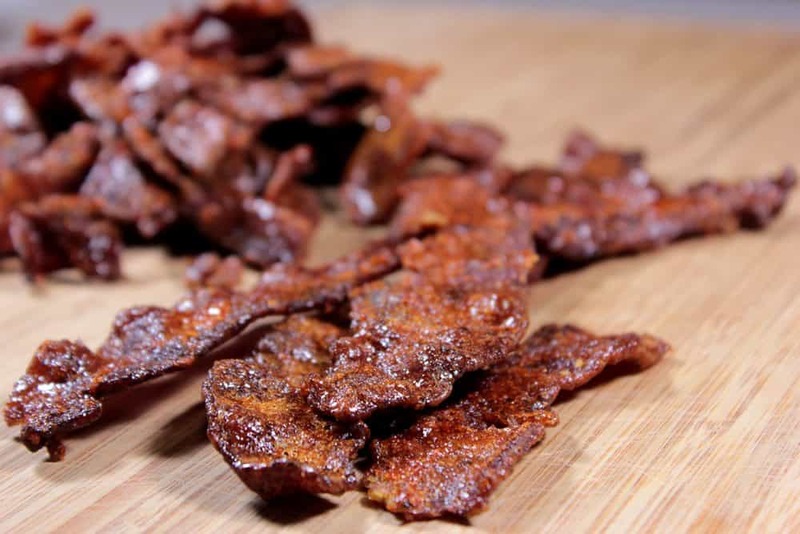 While the smoker is coming up to temperature or preheating, go inside and get the bacon out of the package and ready to cook. 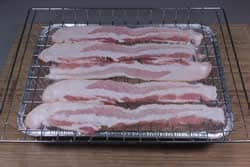 I placed my bacon onto Bradley racks to make it easy but you can also just lay the bacon right onto the smoker grate if you want. I do not recommend using a cookie sheet since it's important that the smoke can get to the bacon from all sides. 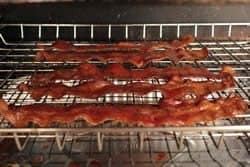 I laid the racks of bacon right on the smoker grates and then placed a throw-away foil pan under the racks of a bacon on a lower shelf to catch the bacon drippings and the glaze. Note: I like to reduce cleanup as much as possible.. not sure if that means I'm working smart or if I'm really lazy but cleanup is not my favorite part of this process and I work hard to reduce and even eliminate it wherever I can. The bacon will cook this way for about 45 minutes.. if you are running a little less than 250°F you will want to give it a few extra minutes and leave it in there about 1 hour. ​I used cherry wood and kept the smoke going for the entire time the bacon was cooking.. about 2 hours. While the bacon does it's thing in the smoker, go inside and make the candy glaze. Mix it up real well and if you want it to be a little more thin, you can add an extra tablespoon or two of bourbon (can't go wrong there). Note: if you do not want to use bourbon for some reason, you can use Dr Pepper in the same quantity and leave out the honey since there is additional sweetness in the soda. 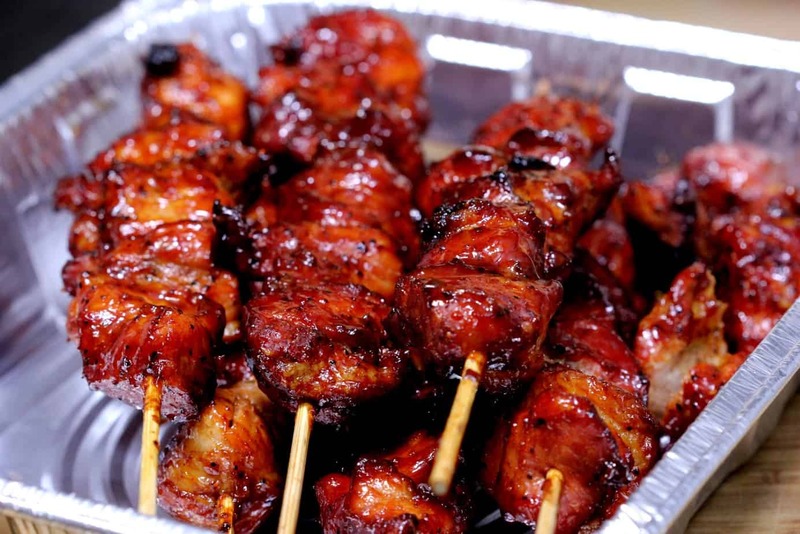 Once the bacon has been cooking for about 45-60 minutes, it is time to start brushing on the glaze. Using a long handled silicone brush, open the door and quickly brush a layer of glaze onto the top side of the bacon. Flip the bacon over and glaze the bottom side. 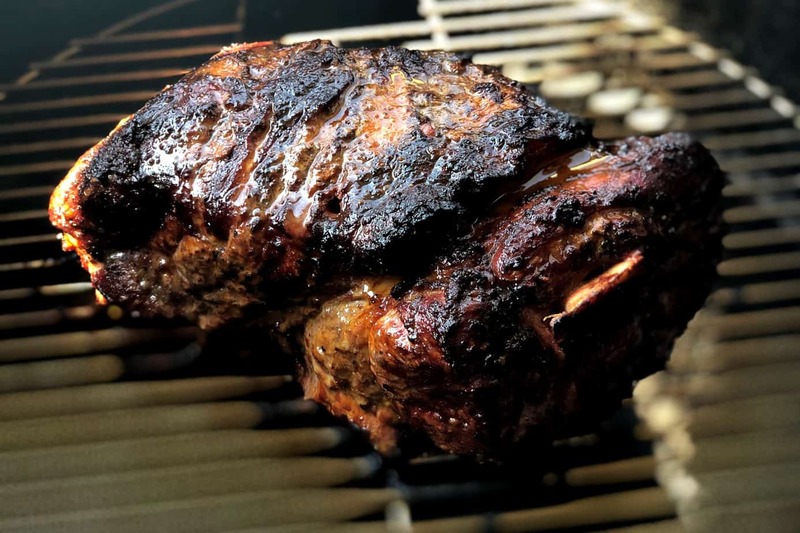 Close the smoker door and set a timer for 30 minutes. 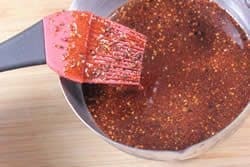 Once again using a long handled silicone brush, open the smoker door or lid and quickly brush a layer of glaze onto the top side of the bacon. 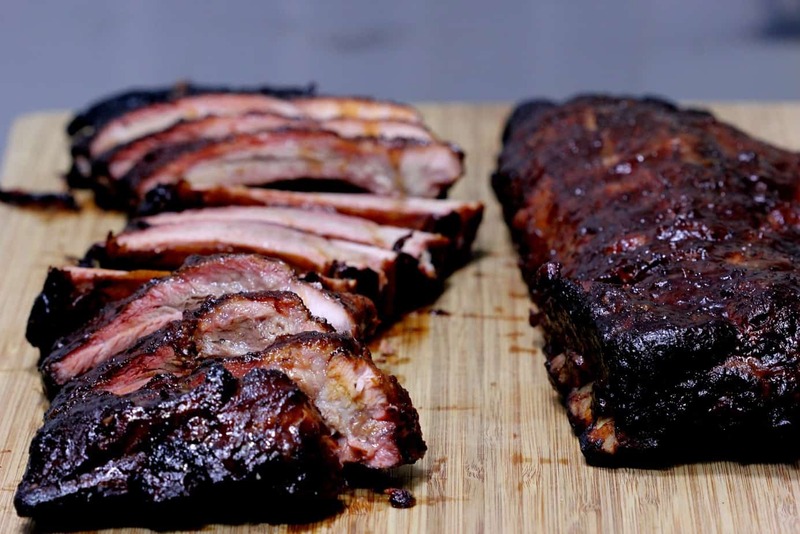 Close the smoker door and once again set the timer for 30 minutes. 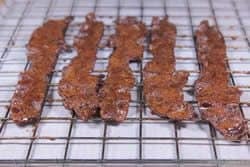 Very quickly remove the bacon from the grates or the bradley racks and place it onto wax paper to cool. As it cools, the bacon and glaze hardens and it becomes more and more difficult to remove from the racks. I was not quick enough.. be faster than me and you should be ok. Step 7: Whole or Pieces? I did manage to get the first couple of pieces off in long strips. So, the moral of this story is that if you are able to get them off in whole strips then you can decide if you like them better that way. If you have issues, it's still ok to serve them as pieces. And.. be sure to save some of the smaller pieces for that big bowl of ice cream I know you've been contemplating! Pig candy is nothing new but it does take things up about 5000 notches when you make it in the smoker. 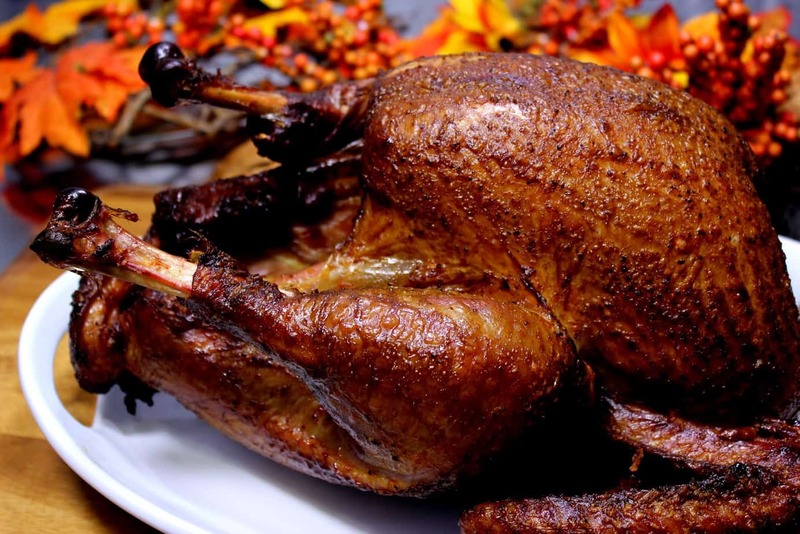 The last time I wrote about this I simply used my rub and brown sugar on the outside as a dry mixture. This time I made a glaze from bourbon, brown sugar, maple syrup and of course, my original rub, to give it a kick in the pants. You'll love this stuff and I dare you to try and eat just one piece! 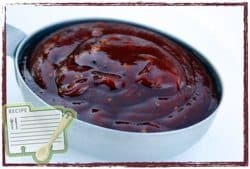 Add the following ingredients to a small mixing bowl: ½ cup brown sugar (I used the dark), ¼ cup maple syrup, ¼ cup bourbon, ½ cup Jeff's original rub, 2 TBS honey. Note: if you do not want to use bourbon for some reason, you can use Dr. Pepper in the same quantity and leave out the honey since there is additional sweetness in the soda. As it cools the bacon and glaze hardens and it becomes more and more difficult to remove from the racks. If you are able to get them off in whole strips then you can decide if you like them better that way. If you have issues with them breaking up, it's still ok to serve them as pieces. Well, I’m on my fourth batch and loving it. I did do this last batch with an off brand of bacon and I won’t use it again. It is ok but it is just lacking something. From now on I will use the brand that has the wiener mobiles running around the country.i will have about 4 batches with me when we travel later this year. I made the recipe last week using all low carb products. That includes the rub recipe. I have found using erythritol produces give the best results. Walmart sells a sugar free honey as well as swerve sweetener and sugar free maple syrup. Will it taste different? Of course. Is it better than not having any at all? By all means YES! 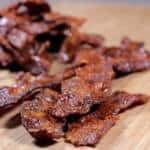 My pig candy turned out excellent for the low carb WOL. Second batch is in the smoker now. I will say the coating took longer to harden and really needed the extra time in the heat. This recipe is a keeper and easy to make. Great for someone who is new to smoking. I am going to try this with one big exception. I am a low carber and just must avoid sugar. I will substituting with monk fruit golden sweetener, sugar free maple syrup and sugar free imitation honey. I will be using the bourbon. I know it will make an inferior product but that is a part of comprimise. 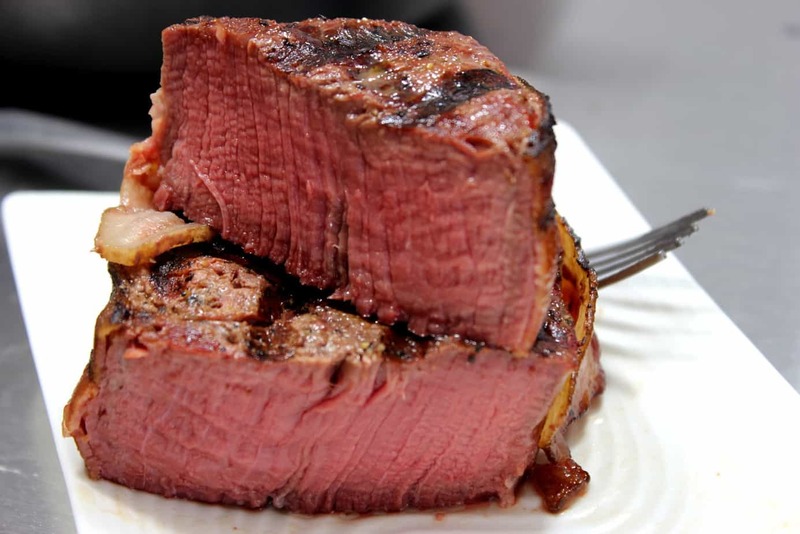 I would rather have this recipe low carb that to go without at all. 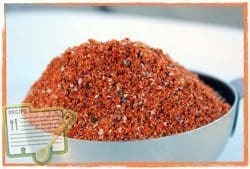 I’ve made your rub SF too. I’ve made this a few times for my coworkers. Last week, I brought this to the office to sell in a fund raiser. Would you believe they were paying over $70 for three-quarter pound bags? Not only is it yummy, but this week it helped raise money for people in need. Made this twice now and it was fantastic both times. I really enjoy your website but can’t seem to find your app for my new iPad. Tried the bacon today. Tastes great, but did not crisp up like I expected. Also how long will it last or maintain edibility before considered spoiled? Tried the pig candy recipe I received on my e-mail newsletter today. Ran to the store and got the thick cut bacon and fired up my Traeger smoker. A few hours later I had the finished product. Turned out great. Not overly sweet, doesn’t cover over the smoke flavor. A great snack. Kinda like a bacon jerky. I recommend this recipe to anybody. 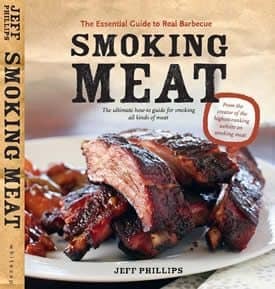 i am thinking about using pellets in my smokey mountain smoker instead of chips or chunks. any thoughts?